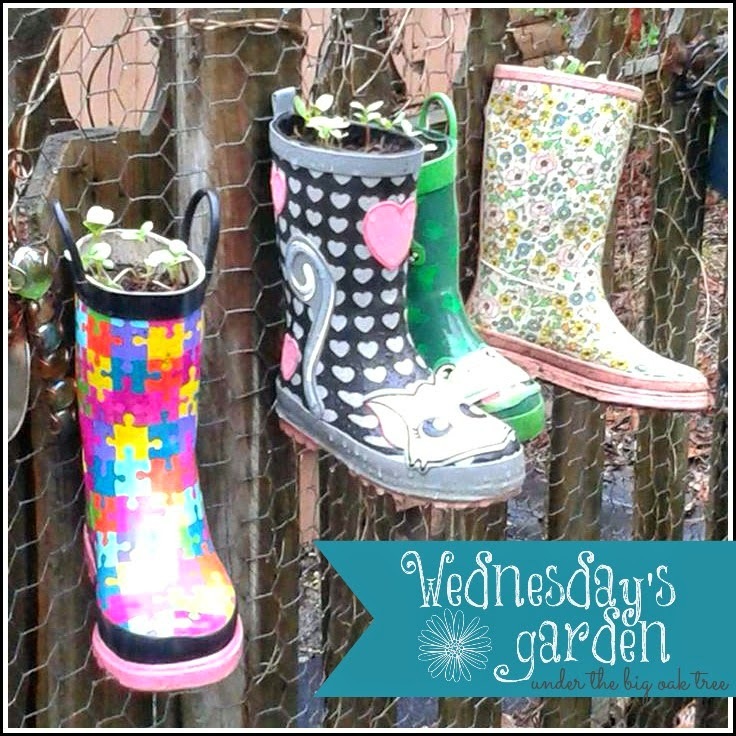 Aren't these rain boot planters so cute?! Almost everyone that knows me, knows that I love shoes! That most definitely includes rain boots! Although I don't own a pair personally, Grace has had several pair over the course of the past 5 years! I'm totally kicking myself for selling them in my yard sale group! 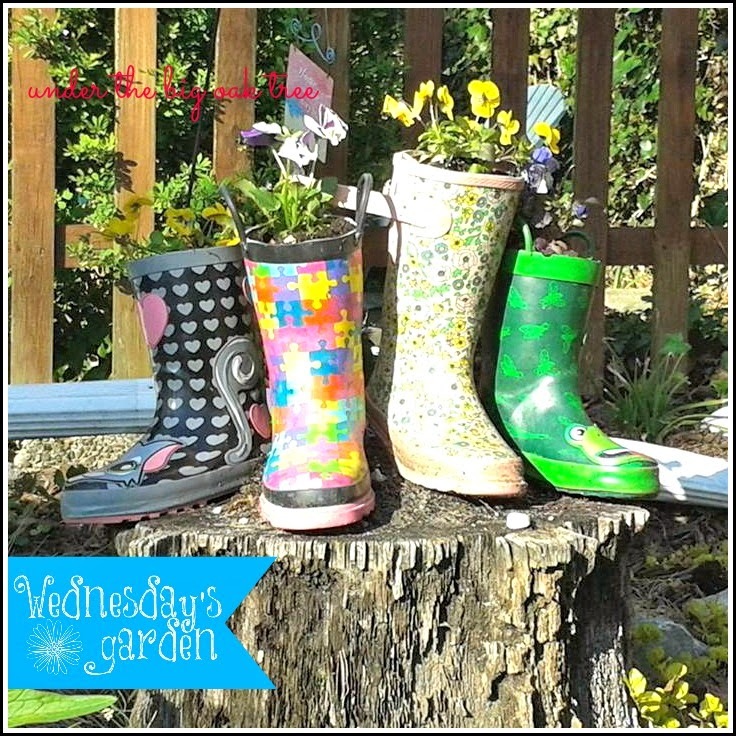 Wednesday created these adorable planters using her kids' outgrown rain boots. She added rocks and leaves in the bottom before adding her soil and plants. While the plants are still small this early in the season, soon the boots above will be bursting with brightly colored Zinnia...my favorite! Now it's your turn! 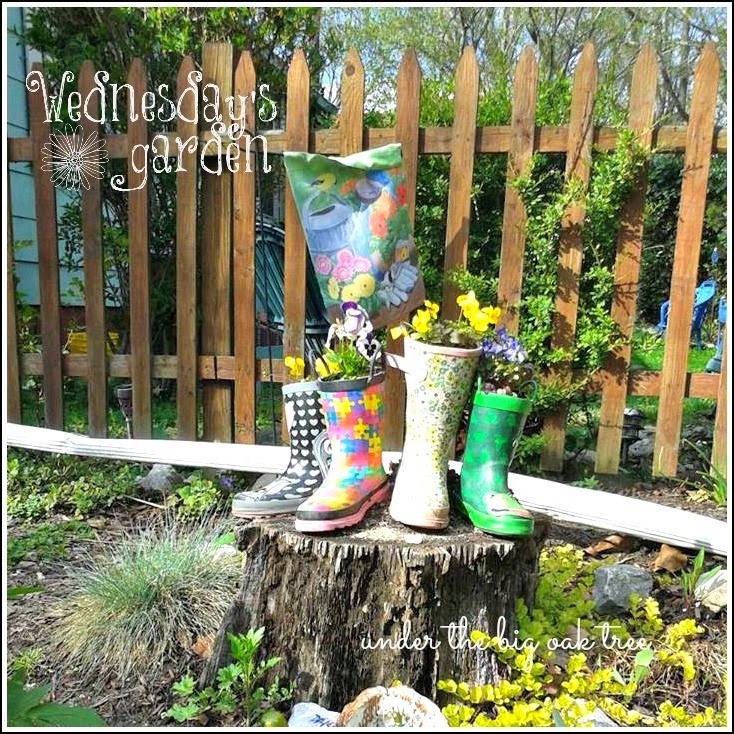 Please link up your garden post! If your garden isn't started yet, share something from last year's garden! 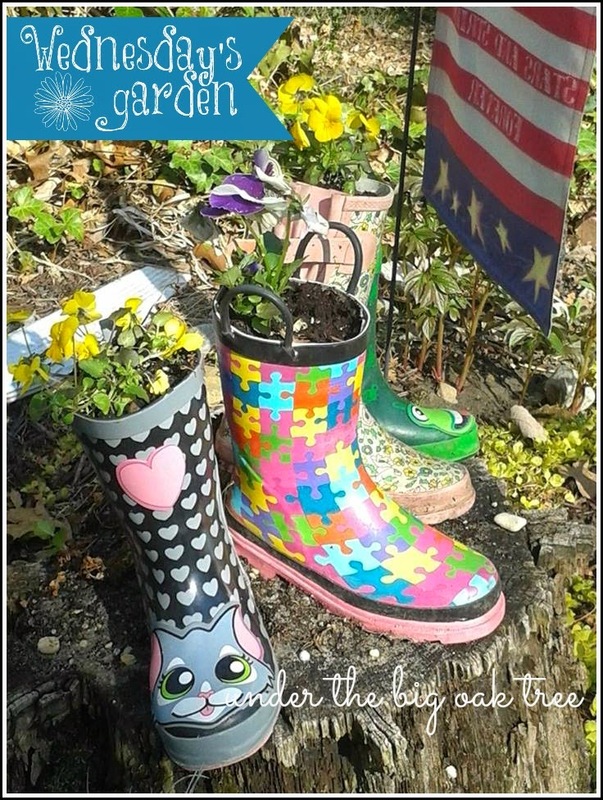 Just be sure to include a link back to this post so that others can join in on the garden tour!